These are lyrics by Backstreet Boys that we think are kind of nonsensical. Backstreet Boys', "As Long As You Love Me"
1. She may be a psychopath 2. She might've escaped from prison or a mental institution 3. Does that include any felonies she may have committed? 4. With all that in mind, how long would that be? Backstreet Boys', "Don't Want You Back"
You saw my picture on the Backstreet's back alright! You hit someone faster than a shark attack? What the heck? And what about that next line? I saw your picture on a what? Please finish the sentence before making a shameless plug. It doesn't make sense!! Come on, they're singing about a girl 'you are my fire, the one desire.' What in the world do they want 'that way' I think it's retarted!!! This statement seems to contradict itself. Holes, by definition, don't have anything in them, so how can they fill? but my world is half asleep. Well, I do like the Backstreet Boys, but what exactly does this lyric mean? Backstreet Boys', "Lose It All"
Okay I appreciate being able to breathe too. Backstreet Boys', "More Than That"
So take my hand; don't say goodbye. It's pretty obvious that whoever this song is about this person doesn't have any intention of staying. Not only is this couplet one of the stalest cliches in the history of pop but also stupidly contradictory. It doesn't take a genius to work out that if something changes, it can't remain the same. Backstreet Boys', "My Beautiful Woman"
I was lookin to be your fella. I guess I could have put this in the insincere lyrics category but first I had to put it here becuase of the lack of effort on AJ McLean's part to make a half-way decent rhyme. I like the Backstreet Boys but this line is just unforgivable. Seems to give mixed signals here. Do you or do you not want the person to hold you? Backstreet Boys', "Show Me The Meaning Of Being Lonely"
Okay, first let me just get this off my chest: say what? This is a pathetic attempt to sound intellectual, but, unfortunately for BSB, it makes absolutely no sense. Does any part of this song make sense to anyone? 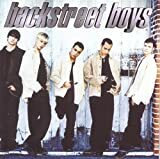 I think this song was an attempt for the Backstreet Boys to make themselves sound eloquent, but the song is just thrown together with some cool sounding phrases. Apparently this chick is very willing to show them the meaning of being lonely. He's the one still hung up on her. Then how in the hell would you catch a plane if you don't buy a ticket? Aren't you required to buy a ticket before you board a flight?